Okay well I'm just making this thread so I can get ideas for my world on Xbox 360, but I also figure that this could be good for other people too. In this thread, you may share your Minecraft ideas. Like what to build, maybe how to build it and just talk about it and other stuff. And it could be anything that's possible on Minecraft. Now, to make this thread for more people's interest, this is for BOTH Xbox 360 and PC. Last edited by PHANTOMxTRAINER; July 31, 2012 at 12:10:07 PM. This wouldn't be possible in the 360 version, but for the 1.3 PC release I've been thinking about an idea for an ice generator, using many pistons and BUDs to, over time, create a 11x11x11 block of ice for harvesting. I'm going to experiment in creative mode for a little bit, it'd be cool if other people could try this too. A'bom's done a version of this on the VR's server. Looks really cool imo. Is it possible I can see a picture and compare? Aw, well thanks, Shade! Honestly, I think it's a little bland; I lack the patience for huge builds, and like to keep things as compact as possible to make it easier to move them around. Unfortunately for sandbox games, there's no way to pick up a bunch of blocks and transport them... you have to rebuild the whole dang thing from scratch. Couple that with my tendency to build things one block off, or have to move them back and forth multiple times to decide where I want it, and you have a problem. Anyway, 4x4 isn't really big enough for an epic fountain. It'd need to be, like, bigger than that. I'm terrible with dimensions, but it'd have to... oh, I had a magical vision in my head of a fountain just now. It'd have both water and lava, but the lava would be pouring into the water and funneling down below it and... yeah, I think that will be my first project of 1.3, if I can figure out where I'm gonna put the darn thing. It'd have to be at least 9x9 in size, 8x8 bare minimum, IF I can get it working the way I see in my head. Lava flows out diagonally, water flows out in cardinal directions. Obsidian and nether brick structure with iron accents. Yeah. That'll be good. 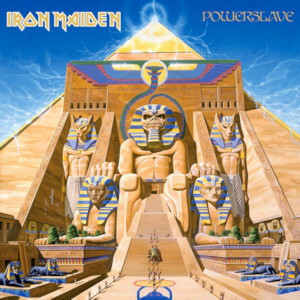 I'm not one with the patience and time for big builds, but I've always wanted to see the Iron Maiden Powerslave temple/whatever rebuilt in MC. Last edited by Shiny; July 31, 2012 at 05:06:02 PM. One epic build I'm working on is a massive slime tower. I was lucky enough to have several slime chunks touching one another. When it's done, it'll be 3x2 chunks and 7 floors deep. A system that kills and collects a mob (preferably a pig, cow, or chicken) and its loot. I was able to make one using 3 sticky pistons, one regular piston, some glass, some dirt, some redstone dust, and 4 switches. I added signs to label which switch did what (and what order to flip them in), but that's really optional. Last edited by Quadcentruo; August 1, 2012 at 08:04:58 PM. Last edited by Twiggy; August 9, 2012 at 12:22:28 PM. Best way to link houses is through the Nether, as distance travelled there is 8 times the distance on the overworld. Just need lots of covered paths. Teehee. Maybe so, but what if there's also a path that doesn't involve the Nether? I've ran out of ideas for my world. My world is a flat world so you can't dig down more than like 4 blocks or so there goes the idea of an underground base... I've made a tiny version of Egypt, an eskimo village, a village where all the houses on fire.. in between those there are tanks of both elements that are at war, we've made houses, planes, helicopters, farms, pixel art, roads, buildings and there is still a lot of space to be filled around the obsidian walls that surround it. Any ideas? Start a Survival world that isn't super-flat, dig down, and recreate the Cave of Wonders from Aladdin. Build a skyscraper, perhaps a Minecraft version of the Empire State Building. Recreate a video game world (but make sure someone hasn't already done it). Last edited by Cat333Pokémon; March 31, 2013 at 01:41:59 PM. Make a football stadium, with field goal posts and everything. 3D Pokémon art, maybe? If you feel like spending some time on some more complex MC art, 3D art is the way to go. When coming up with ideas for settlements, I usually lean towards fantasy while heavily borrowing from actual architectural styles. It's very simple to scale and approximate if you use diagonals to determine the slope so the proportions aren't too affected. Build a statue honoring Cthulhu. It's what I did in my XBox world. So far with the 3D pixel art stuff, I made Charmander, Diglett, Electrode, and a failure of a bronzor that I'm probably taking down. I made Pokemon gym with a little moat inside so it resembles a water-gym, but that's it.